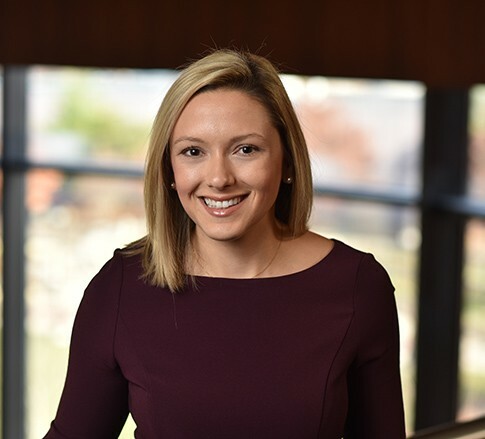 Samantha M. D’Anna is an Associate in the Health Care industry group, practicing out of the Firm’s office in Charleston, West Virginia. As an associate, Samantha enjoys learning the all she can about her clients and her practice area, and loves being part of the larger client-service team. Samantha has a great deal to offer her clients as well – she is an experienced legal writer and researcher. While in law school she served as staff writer and publication editor for the University of Dayton Law Review. She also served as a teaching assistant for the school's legal writing and research course. During her last year of law school, she externed for the Honorable Judge Thomas M. Rose in the U.S. District Court for the Southern District of Ohio. Samantha is an athlete and an animal lover, two interests she put to use in the community while in college. She served as the coach for the girls' eighth grade volleyball and fifth grade basketball teams at St. Andrews School and volunteered at the local no-kill animal shelter.